Manufacturer of a wide range of products which include 210 Mm Thermal Plain Paper Roll, PVR Thermal Paper Roll, Thermal Plain Paper Roll, Printed Thermal Paper Roll, White Printed Thermal Paper Roll and Two Side Printed Thermal Paper Rolls. This 210 mm Thermal Plain Paper Roll is the important accessory item that comes in the size of two hundred and ten mm. We use the supreme grade of paper material and other items for making this product enriched with a number of features such as durability, and fine printing. It is impregnated with a chemical that alters color when displayed to heat. The 210 mm Thermal Plain Paper Roll we provide is very famous for its thickness and paper quality. This Bill Thermal Paper Roll is the important product that is specially made by us to be used for thermal paper applications. We use the high level of techniques and tools for its production in an efficient way. This type of product is mostly supplied by us in the size of fifty-seven mm or two inches. The Bill Thermal Paper Roll we provide is most preferred by its users because of its long lasting functional life and thick paper quality. We are engaged in offering Thermal Plain Paper Roll, which is plain in its look. It is a paper that is impregnated with a chemical that alters colors when exposed to heat. This type of roll is mostly used in lightweight and cheap devices like cash registers, adding machines, and credit card terminals. It is endowed with a number of features such as excellent quality, and tear free. Our provided Thermal Plain Paper Roll is perfect for use in thermal printers. This Printed Thermal Paper Roll is the necessary item that is supplied by us in the printed form as per the choice of our prestigious clients. We avail this product with the surety of standard paper thickness and width and excellent quality. It is the accessory product, which comes with long lasting functional life and high printing quality along with supporting the fifty-eight mm thermal printer. The Printed Thermal Paper Roll we offer works efficiently with the print head of the machine. We are providing White Plain Thermal Paper Roll, which comes with the assurance of long printer head life. It is meant to be used with billing machines for retail stores and all types of points of sale printers, cash register machines, and so on. Our dedicated team of experts takes much care when preparing it as they use the finest grade of raw material. Our offered White Plain Thermal Paper Roll is supplied by us in various sizes as per the particular demand. We are engaged in offering Pre Printed Thermal Paper Rolls, which are availed by us in the pre-printed form as per the requirement of our esteemed clients. The material, which is used by our professional manpower for its production, is obtained by us from the reliable and experienced sources of the market. Our provided Pre Printed Thermal Paper Rolls are also customized by us as per the thickness, width, and size of paper according to the particular demand for supply. This Custom Printed Thermal Paper Roll is the product that comes in the customized form. It is mostly used in credit card terminals, ATM machines, EDC card machines, and so on. Its designing and printing is based on the advanced level of technology. The paper of this roll, which is bright and white in its features, provides the black and clear impression. The Custom Printed Thermal Paper Roll we offer can be used for a long time without having any fear of its color fading. We are providing Cash Register Printed Thermal Paper Roll, which is specially designed to be used with the thermal printer of a cash register. It is availed by us in various sizes, thickness, width, and paper quality as per the particular choice of our revered clients. This type of paper is capable of retaining the printing on it for a long time. Our offered Cash Register Printed Thermal Paper Roll is printed by us by using the high level of printing machines. Various Sizes 1 1/2" to 4 9/32"
Established in 2014, we are a Faridabad-based company engaged in manufacturing and supplying high-grade Thermal Paper Roll. It is widely used in departmental stores, marts, and various shops to print receipts. These paper rolls are highly appreciated for their quality and available in various sizes ranging from 1 ½” to 4 9/32”. It is a special type of paper different from ordinary papers in the way that it is coated with chemicals on the outside. Because of that chemical, Thermal Paper Roll changes color when exposed to heat. Backed by our diligent employees and rich industry experience, we have managed to become one of the leading manufacturers and suppliers of Thermal Paper Roll Fax M Uncoated. It is a special type of paper roll that is fabricated without any chemical coating. This roll is highly demanded in departmental stores, shops, and various other places to print receipts. It is highly appreciated for its eco-friendly nature and compatibility with various modern printers. The offered Thermal Paper Roll Fax M Uncoated is available in various sizes and dimensions to meet all clients' requirements. With a vision to be a pioneer in our domain, we are serving our respected clients by offering them a qualitative range of Thermal Paper Roll Fax M Coted. It is coated with chemicals from outside and due to that chemical, it is able to change its color when exposed to heat. The chemical that is used in the coating of these paper rolls is Bisphenol A. It is widely used in banks, ATMs, departmental stores, and various other shops to print receipts. 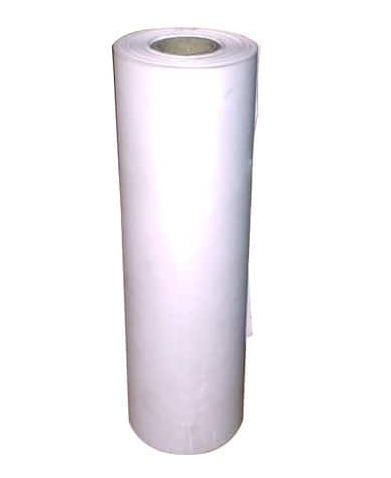 We offer this Thermal Paper Roll Fax M Coated in various sizes and dimensions and that too at reasonable rates. We have been serving our clients for the past 4 years by offering them supreme-quality Thermal Paper Roll Fax Machine. This roll is highly demanded in departmental stores, shops, and various other places to print receipts. It is a special type of paper different from ordinary papers in the way that it is coated with chemicals on the outside. Because of that chemical, Thermal Paper Roll Fax Machine changes color when exposed to heat. We offer this roll in various sizes and quality grades to meet all clients' requirements. With an aim to be a leader in the market, we are serving our respected clients by offering them supreme-grade Thermal Printer Roll Low High Gsm. It is widely used in various shops, departmental stores, banks, ATMs, and other places to print receipts. The offered paper roll is available in both high and low gsm (grains per square meter) to suit different needs. Thermal Printer Roll Low High Gsm is coated with a chemical from outside and due to that chemical, it changes color when exposed to heat. Based in Faridabad, Haryana, we are a 2014-established company engaged in manufacturing and supplying excellent-quality Cash Receipt Roll 79*50 Low & High Gsm. The offered roll has a width of 79mm and a diameter of 50mm. In addition to that, we offer both low gsm and high gsm variant of this roll that makes it suitable for all our clients' requirements. The offered Cash Receipt Roll 79*50 Low & High Gsm is widely used for printing receipts in departmental stores, marts, and various other shops. Established in 2014, we are a Faridabad-based company engaged in manufacturing and supplying high-quality Thermal Roll 79*50 Low & High Gsm Pvr. It is widely used for printing cash memo at stores, marts, and various other shops. Apart from that, it is also used in ATMs to print receipts. These rolls are fabricated using highest-grade paper and there is a chemical coating over. Because of that chemical, Thermal Roll 79*50 Low & High Gsm Pvr is able to change color when exposed to heat. Based in Faridabad, Haryana, we are a 2014-established company engaged in manufacturing and supplying excellent-quality Thermal Roll 79*50 Low & High Gsm. The offered roll has a width of 79mm and a diameter of 50mm. In addition to that, we offer both low gsm and high gsm variant of this roll that makes it suitable for all our clients' requirements. The offered Thermal Roll 79*50 Low & High Gsm is widely used for printing receipts in departmental stores, marts, and various other shops.